Of all the homes I have visited, this is the home that I love the best, because it was given to me and built for me with such love. I never leave. Remember, I do not leave, because this is my home. Meher Spiritual Center was founded by Meher Baba in 1944 as a place for rest, meditation and renewal of the spiritual life. One of Meher Baba’s original requirements for the property which would become Meher Spiritual Center was that it be virgin land. 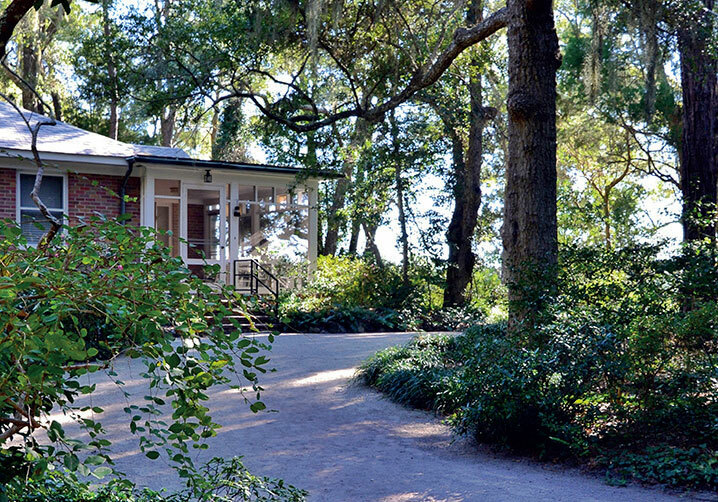 The nearly five hundred acres of undeveloped woodlands, wetlands, marshes and lakes along the Atlantic coast that encompass the beautiful, natural setting of the Center have been carefully safeguarded to support the unique retreat atmosphere which visitors find here. Meher Baba also directed that the Center should be preserved in perpetuity. The Center’s original roads, grounds, structures, and historic buildings have been maintained since Meher Baba’s visits in the 1950’s so that visitors today and in the future can experience the Meher Center very much as it was when He was here. So too, practical additions and improvements made over the years have adhered to the simple, gracious plan of the original retreat. 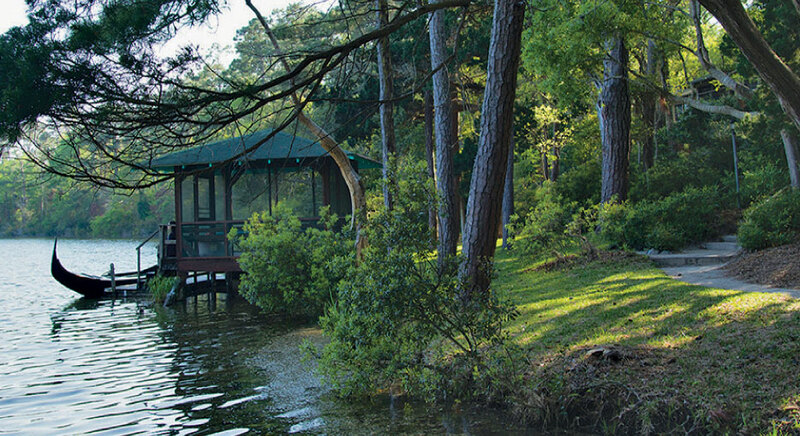 The boathouse offers a place for conversation and contemplation, with an inspiring view of Long Lake. The carefully placed cabins which accommodate overnight guests help maintain the atmosphere of quietude and privacy which enhances the retreat experience of contemplation, rest, and renewal. Many of the simple, rustic cabins are the original buildings from Meher Baba’s time. Activities at the Meher Center are uncomplicated and allow for a true retreat from the stress and concerns of worldly life. The Center’s Library, Reading Room, and Meeting Place regularly offer a variety of meaningful programs and materials about Meher Baba’s life and teachings and the history and significance of Meher Center, including inspirational books and other written materials, photos, films, audio and video tapes, talks, readings, and music programs. The approach and porch entrance to Meher Abode. Sunday 11:00 am – 1:00 pm, Tuesday 11:00 am – 1:00 pm, Friday 4:00 – 6:00 pm, and Saturday 9:00 – 11:00 am. 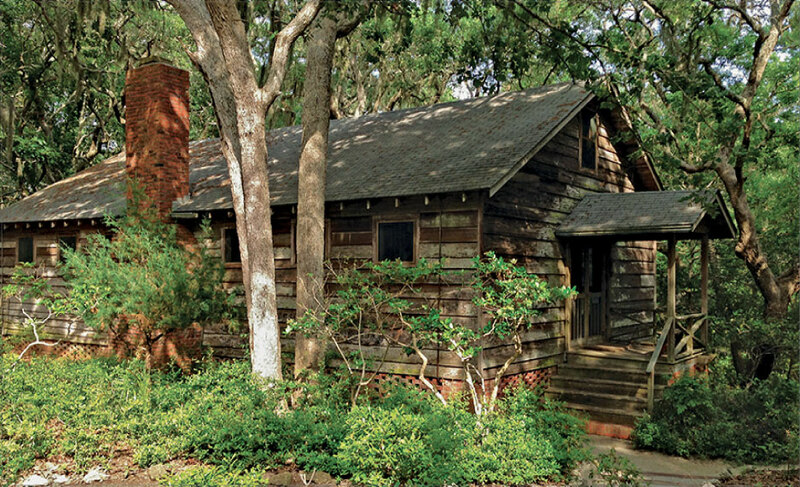 One of the original Center buildings from the 1940s, this small cabin—Meher Baba’s “interview cabin”—is where He met privately with individuals, families and small groups during His visits to the Center in the 1950s. The Lagoon Cabin remains open, day and evening, for prayer, meditation, and quietude. The Barn is reserved for quietude and contemplation, and gatherings on special occasions. This building, reconstructed from a local barn, was used during Meher Baba’s three visits for large daily meetings and gatherings which included talks and discourses given by Baba; and jokes, skits, dance, and musical entertainment, performed for Him. The Barn is open daily from 9 :00 am – 4:00 pm for prayer, meditation and quietude.